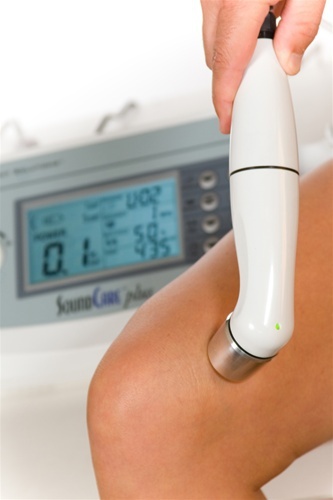 Ultrasound therapy for muscle strains. Pain Physicians NY of Brooklyn & NYC provides a full range of Pain Relief procedures and advanced pain management services including electrical nerve stimulation for chronic pain among latest cutting edge procedures: Body Composition Analysis, High Tech Shockwave Therapy, groundbreaking Interstitial Laser Therapy and Stem Cell Therapy. We are the most advanced pain management clinic in Brooklyn and is among the best in the region. This is a type of pain relief therapy that uses ultrasound technology. Although still not very common, it is quite popular among physical therapists for treating muscle strains (ex. hip strain) and Jumper’s knee. The astounding thing about ultrasound therapy is that, although it has been around since the 1940s, there still isn’t enough research on its use for therapeutic purposes. This is probably why it is still not a recognized method of pain relief, but physical therapists still use it for treating mild pain. How ultrasound therapy works to relieve pain? The wand produces ultrasound waves through the action of vibrating crystals in the wand causing a piezoelectric effect. The waves are technically sound waves but they are at a higher frequency range of about 0.8 MHz – 3.0 MHz (normal sound frequencies are about 20 KHz). The wand is then placed directly against the patient’s skin so that the sound waves can pass through the skin and cause vibrations to the local tissue. Although not usually felt by the patient, these ultrasound waves cause heating of the tissues around the areas affected. This heat would not be advisable in case there was an inflammation, so the ultrasound is pulsed in such conditions to prevent further inflammation. The main benefit for ultrasound therapy is to promote healing of a recovering injury. This kind of therapy has been shown to increase tissue relaxation and local blood flow, both of which are important in healing. Increased blood flow has also been shown to reduce swelling and inflammation in tissue as well as speeding up bone fracture healing. With an increase in power density, the same technology can be used to break down scar tissue, also promoting healing. Those who really hate injections can use ultrasound therapy to introduce medications that are applied through the skin. In a process known as phonophoresis, medication like cortisone can be forced through the skin by the ultrasonic energy, providing an alternative way of delivering medication. Peyronie’s disease can all be managed using ultrasound therapy. The length of the process will depend on the size of the region being acted upon as well as the goal intended. Processes like scar tissue breakdown will usually take longer as more energy is required. The wand is placed against the skin and moved around the region a few times. Leaving the wand on one spot for a while will become uncomfortable for the patient as the ultrasound energy tends to build up. Ultrasound therapy can also cause pain if there is even a minor fracture on the bone close to the skin, and can be used to identify such fractures that may not even be seen through X-rays.